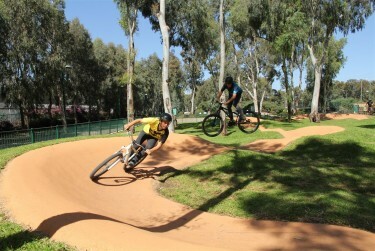 A short, circular riding track that includes rollers (smooth mounds) and berms (raised turns), where one cycles not by pedaling but rather by carefully timed body motions (“pumping”) while creating and maintaining riding inertia. 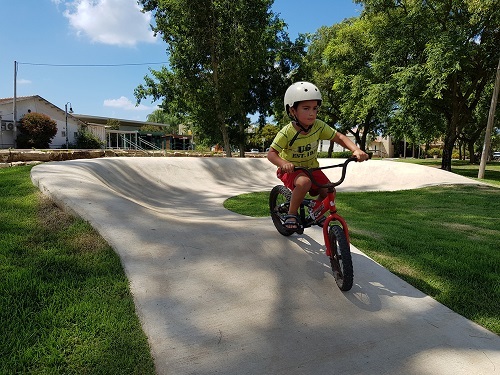 Pump tracks are the ultimate public cycling park suitable for all ages and levels. 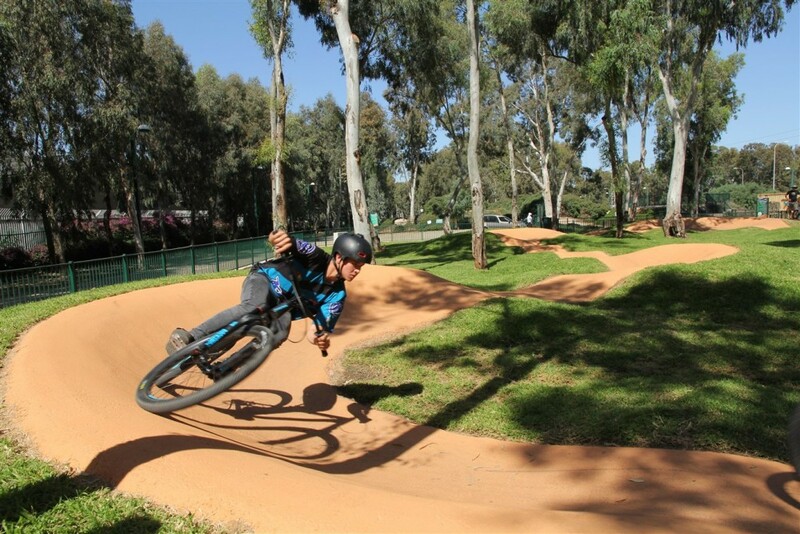 A circular riding track 110 meters in length that includes rollers (smooth mounds) and berms (raised turns), where one cycles not by pedaling but rather by carefully timed body motions (“pumping”) while creating and maintaining riding inertia. 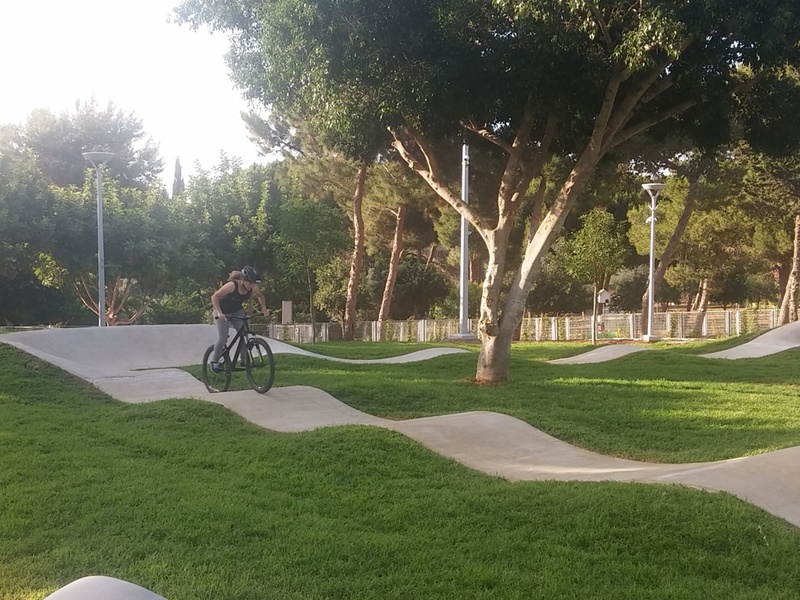 Mini pump tracks are designed for small settlements and kibbutzim in order to fit the budget and area constraints of such local municipalities. 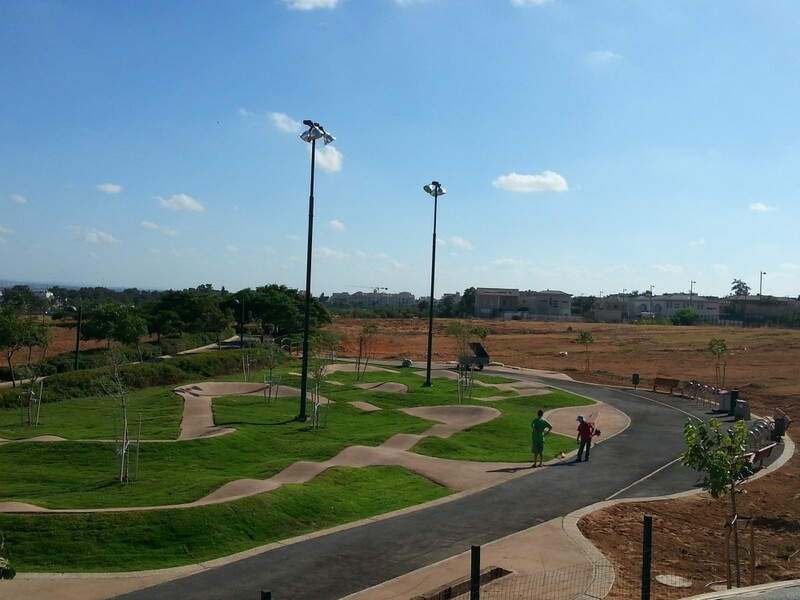 The track area ranges from 300 to 700 square meters. 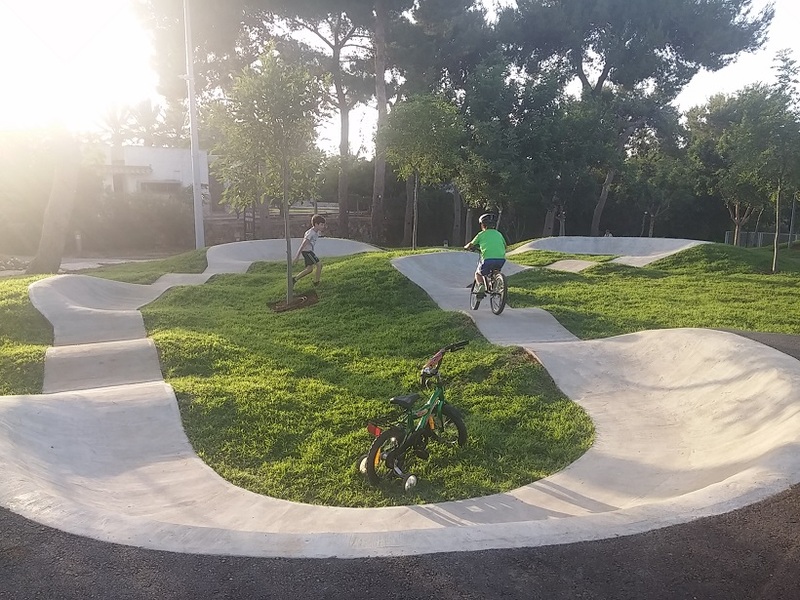 Kids Pump Track designed for children at the low ages. 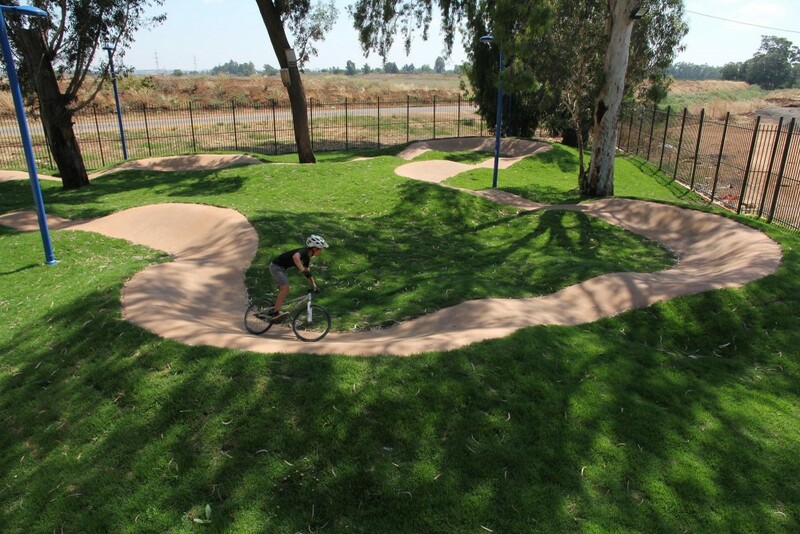 it is a learning and safty track where you can ride at low speeds. built on an area of 200-300 square meters. 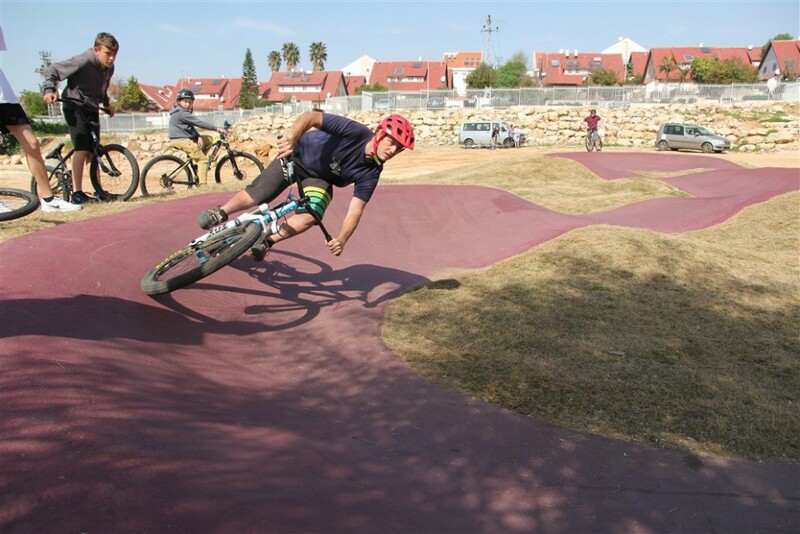 Advanced pump tracks are characterized by skills elements that are larger and more advanced than in other pump tracks; the riding speed in such tracks is higher and the turns are characterized by challenging radiuses and gradients, which require advanced riding skills. 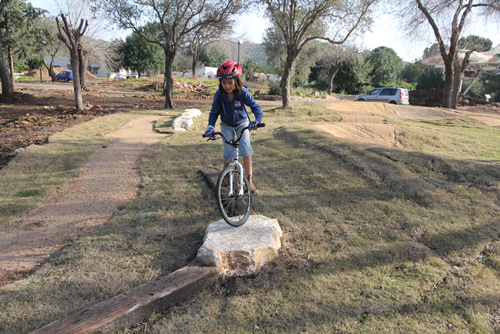 A variety of elements for improving riding and balance skills. 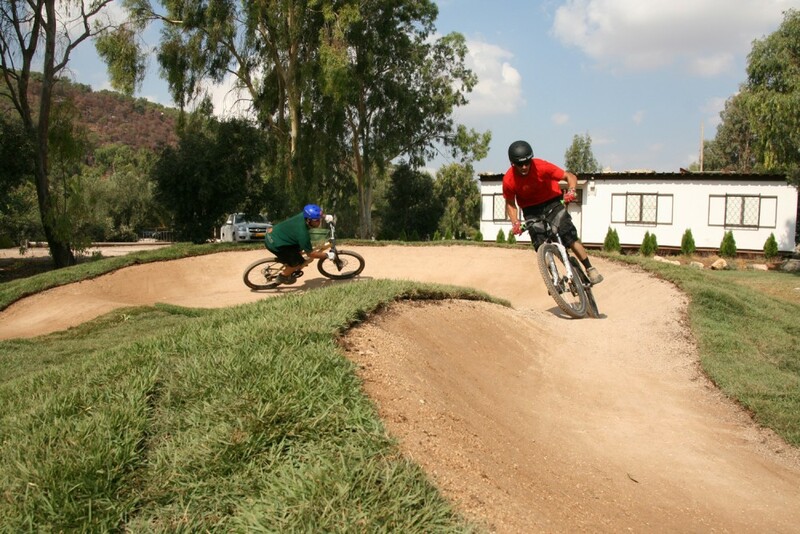 The elements are made of natural materials and simulate elements found while riding off road. 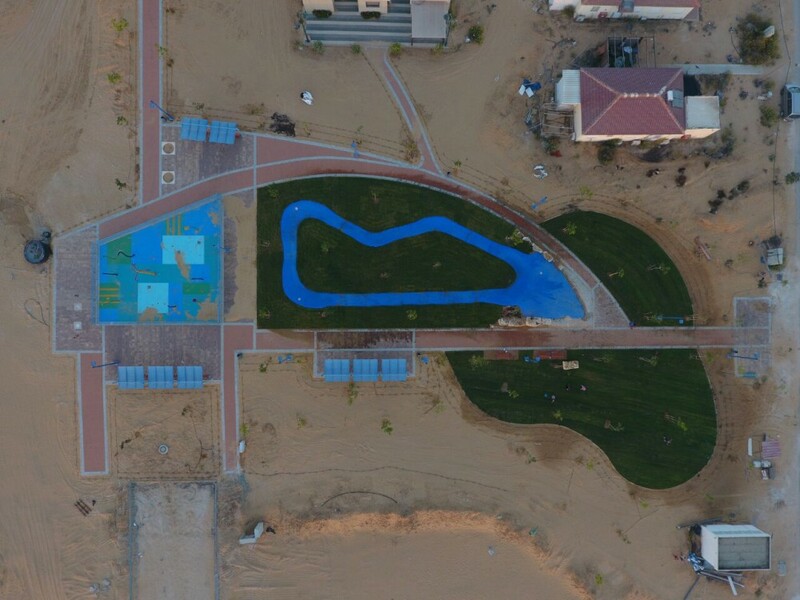 The elements are fixed onto anchored infrastructure and allow for learning and development in a secure and sterile environment. 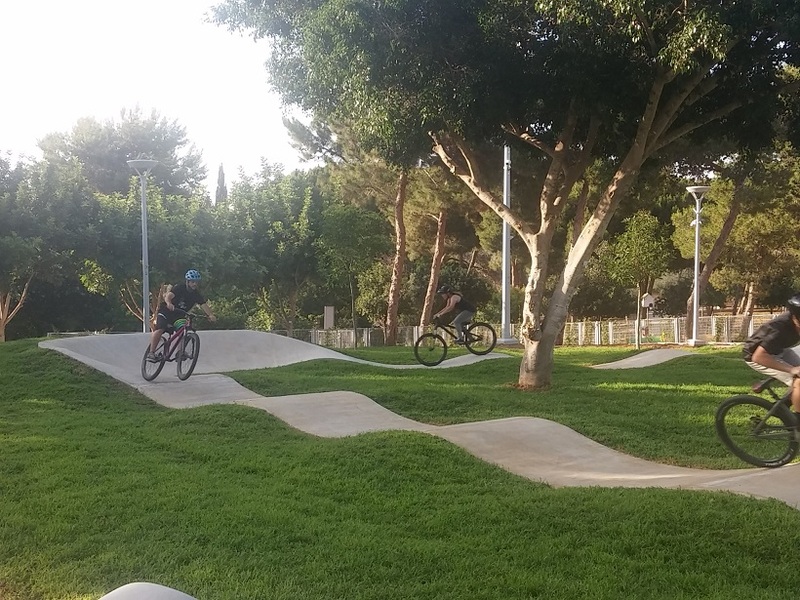 Extreme bike parks are unique and dedicated to the highest levels of riding and for the most advanced riders. 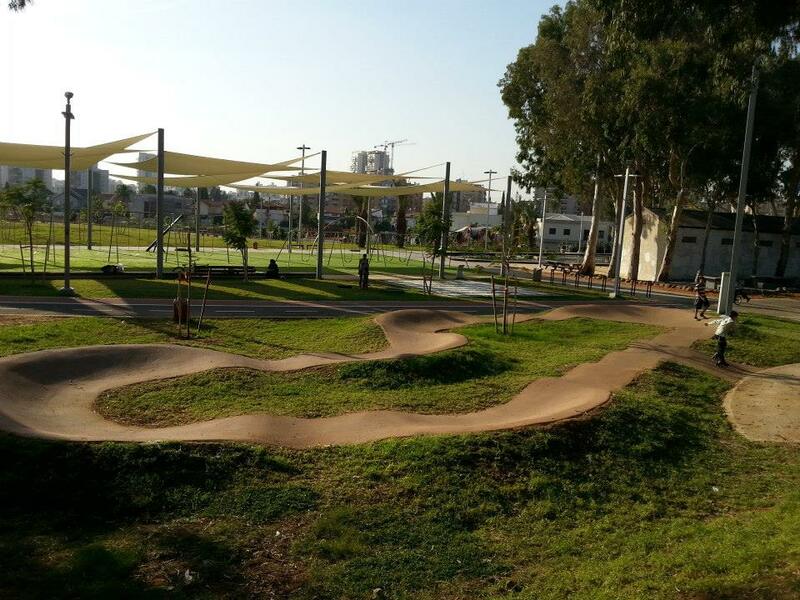 They include tracks with challenging levels, ramps and dirt jumps, tables, doubles and wooden elements. 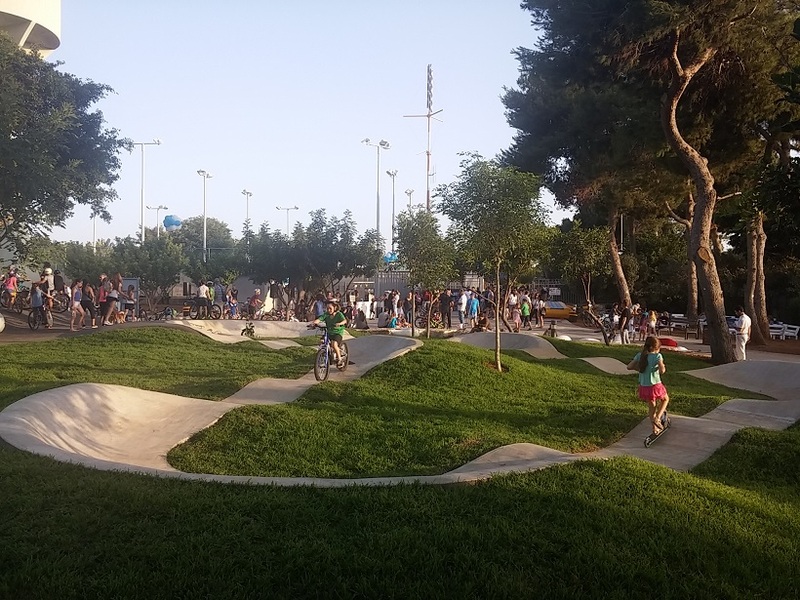 Designing an extreme park requires understanding and maximum customization for the level of users and requirements of the client. 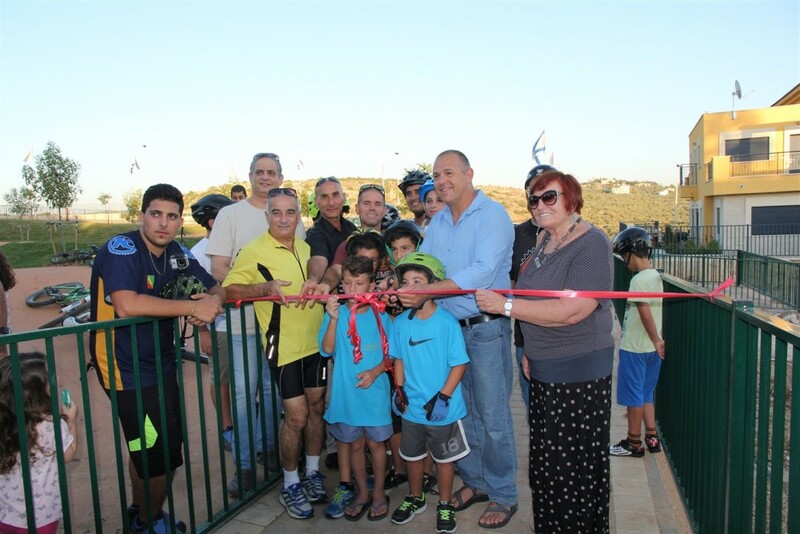 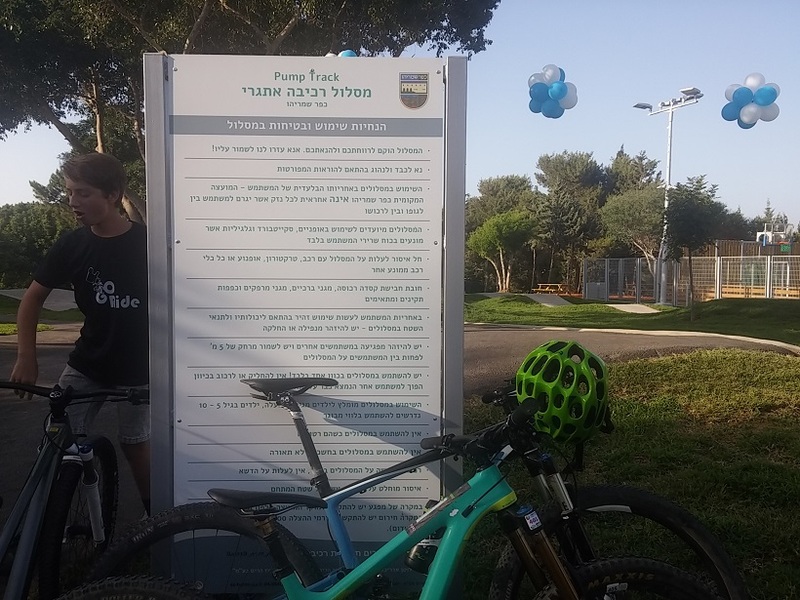 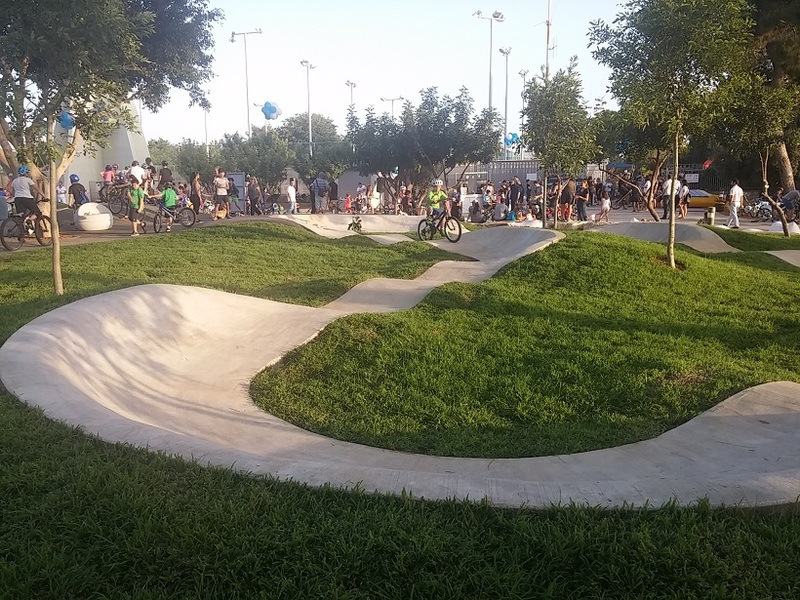 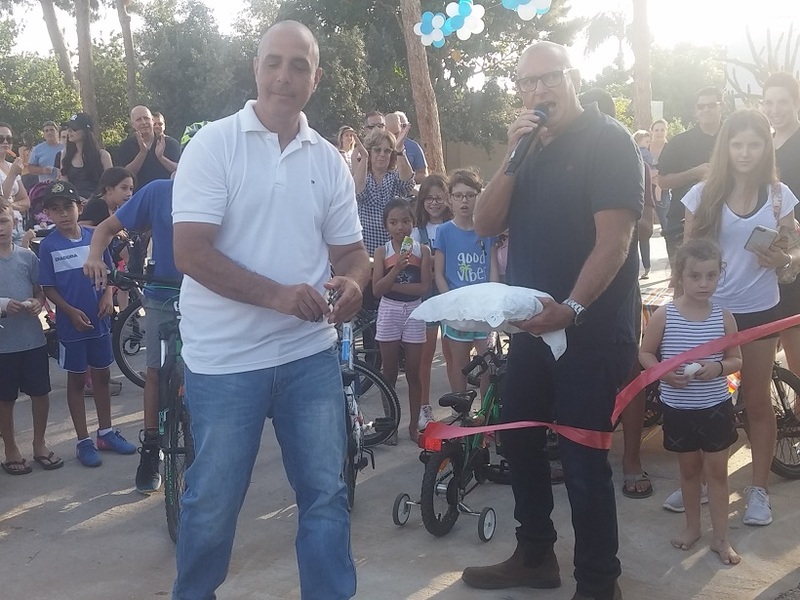 Bike parks are public parks for all intents and purposes, and they include full landscape development to complement the tracks and the different elements. 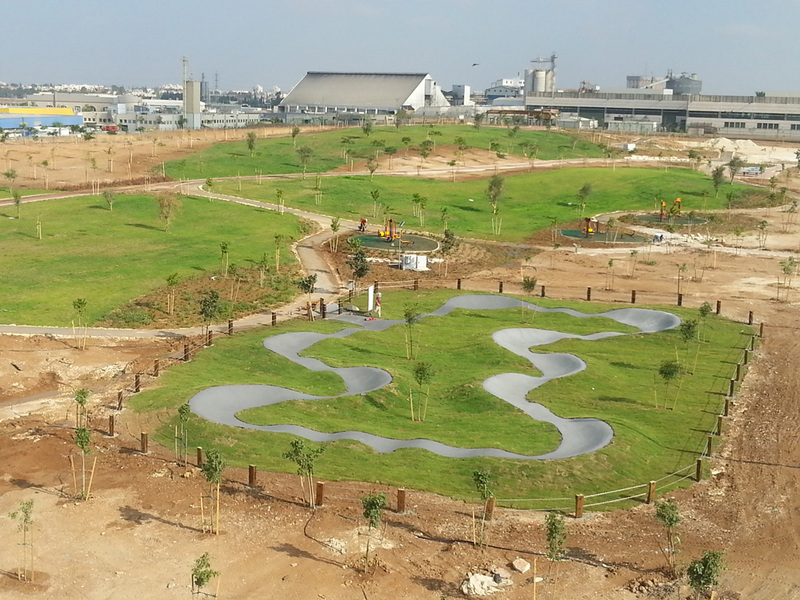 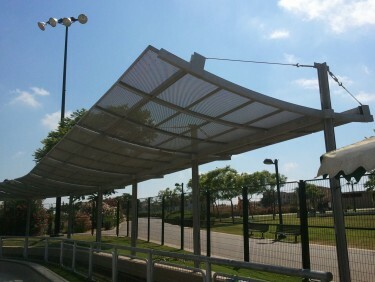 Grass and vegetation, shade and benches, waste bins, lighting and unique signage all compliment the park tracks.